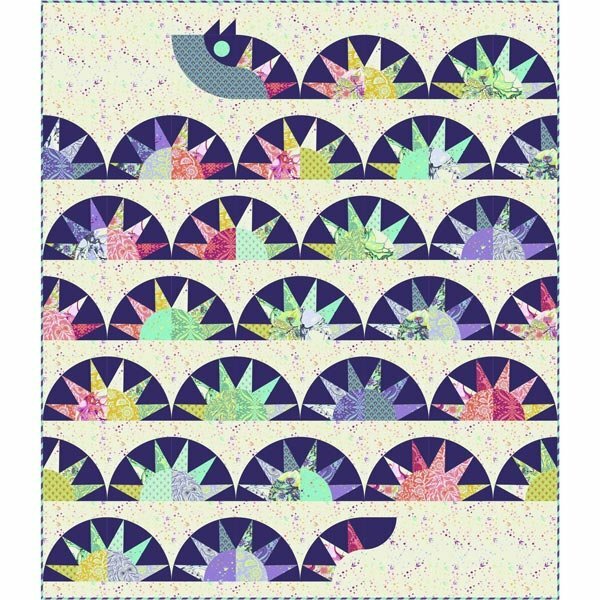 FABRICS > Fabric by Designer > Tula Pink > SERPENTINE Quilt Kit 64" x 74"
SERPENTINE Quilt Kit 64" x 74"
SERPENTINE Quilt Kit, approximate finished size 64" x 74"; finished block size 8". Featuring PINKERVILLE by Tula Pink. Paper pieced & curved piecing - advanced skill level.